Marines Fire and Maneuver - USA Patriotism! 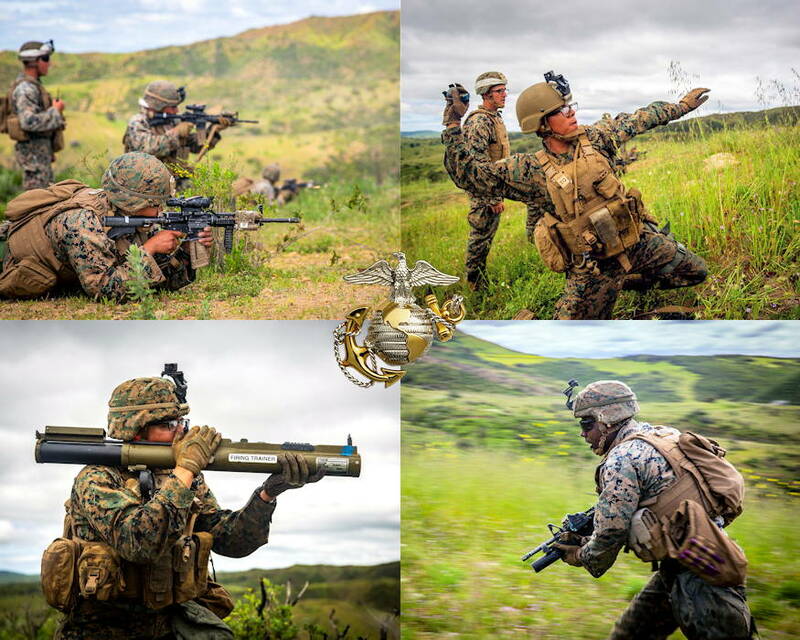 April 3, 2019 - U.S. Marines with Golf Company, 2nd Battalion, 5th Marine Regiment, 1st Marine Division ... engage targets; throw grenades; fire an M72 Light Anti-Tank Weapon; and, move to cover ... during a fire-and-maneuver training drill at Range 217 on Marine Corps Base Camp Pendleton, California. Infantry units across the installation utilize the various ranges on the base by conducting various drills and exercises in order to maintain their combat effectiveness.